The Schaeffler UK automotive plant in Llanelli, South Wales has become the global location of choice for the production of turbocharger ball bearings. Start of production is planned for Week 21, 2017. Due to changing market conditions, a shift in customer requirements and an increase in worldwide demand for turbocharger ball bearings, production has been transferred to Llanelli – a plant that is deemed more suitable to high volume, high speed, lower cost production of high precision components. Schaeffler UK’s world class manufacturing plant in Llanelli produces mechanical tappets for the automotive industry. The plant, which was established in 1957, employs 250 people. A recent investment programme in new plant and machinery worth tens of millions of Pounds has now allowed Schaeffler to supply surface coated engine components that lower fuel consumption and reduce CO2 emissions, whilst using an environmentally friendly vacuum process (no CO2 is produced). Of the 20,000 square-metres of floor space at Llanelli, around 5,000 square metres has been transformed into production space for turbocharger ball bearings. With tighter legal restrictions on engine CO2 emissions and an increasing mismatch between energy consumption and available resources, improvements need to be made to existing automotive technologies and to developing reduced friction, more energy efficient, greener alternatives. “Manufacturers of turbochargers are being asked to provide more compact, higher efficiency turbocharging systems that are more reliable, durable and affordable. Originally, these turbochargers were required for just high-end passenger cars, light duty and heavy duty trucks, but we are now seeing a shift in demand to include passenger cars with smaller, highly efficient engines with lower CO2 emissions and improved fuel consumption. This has led to an increase in global demand for ball bearing guided turbochargers,” says Bate. Turbocharger ball bearings are angular contact bearings that utilise ceramic balls, metallic cages, anti-rotation device, an outer ring, a compressor inner ring, a turbine inner ring and a series of oil flow control jets. The bearings rotate far beyond 150 000 rpm. In hot shutdown conditions, these bearings can also reach temperatures of up to 400°C. The bearing is designed to be cooled by the lubricating oil flow and the bearing materials must resist extreme conditions at all times over the complete life of the turbocharger. Compared to traditional joined bearing turbocharger systems, ball bearing guided turbochargers offer numerous benefits that stem from the fundamental change in the friction mechanism present in the system. Multiple rolling elements replace a thin oil film in high shear, significantly reducing friction. This results in a significant improvement in system friction (typically up to 50%) at operating temperature and even greater improvements during the first minute of an engine cold start. With the more conventional hydrodynamic, oil filled turbocharger systems, the oil is very viscous in cold conditions, particularly during engine start up. The time taken to heat up the oil means that engine emissions will suffer during this period. With ball bearing turbochargers, the air is available to the system immediately on cold start up, resulting in a more energy efficient system with reduced emissions. Overall, this leads to an increase in power, an increase in torque, a reduction in CO2 emissions of 2.5% and an excellent transient response of the engine. 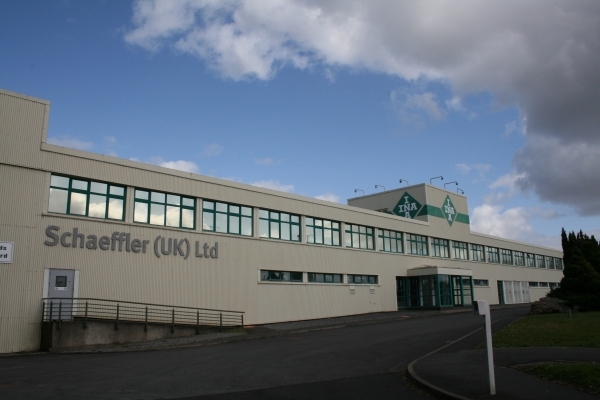 Many other Schaeffler employees have been involved in the transfer of production from Plymouth (Barden) to Llanelli. The Schaeffler locations in Plymouth, Llanelli and the headquarters in Herzogenaurach, Germany, worked closely together to ensure a successful start of production. 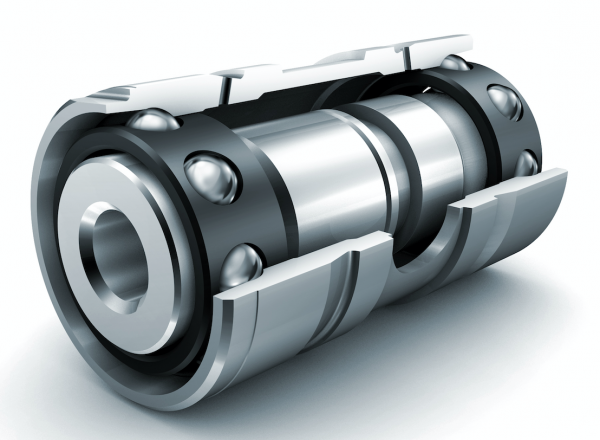 “Schaeffler’s innovative ball bearing solutions can improve fuel efficiency by up to 2.5 per cent. Very tight tolerances combined with innovative manufacturing processes have been established to support this newly developed market segment. We have therefore extended our production portfolio in our Llanelli plant, which offers highly committed, experienced and talented employees to make this a real success,” concludes Cierocki.